investment of research and testing into the 2JZ Gas have dominated Sports Compact Drag Racing. At this years Fuchs test and tune day Joe Signorelli piloted the Gas Motorsport 2JZ Celica down the Sydney Dragway quarter mile in a world record breaking 6.38sec at over 223mph. Gas Motorsport exclusively uses Motuls off the shelf oils for their 1000HP+ drag & dyno motors for it high film strength , high heat resistant temps and excellent lubrication properties . 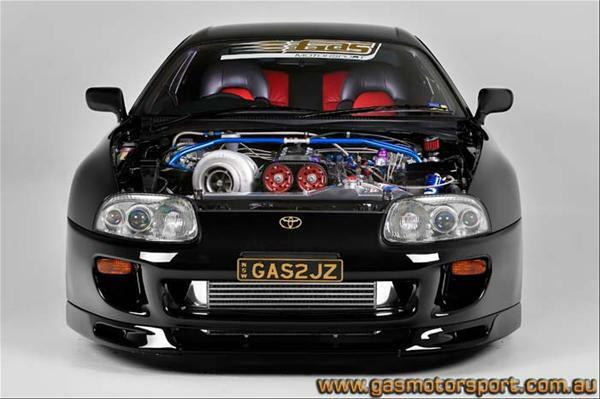 Gas Motorsport Mechanic takes us through one of their 2JZ motors. This particular motor was running 55PSI making 1400HP for over 3 years on Motul oil.